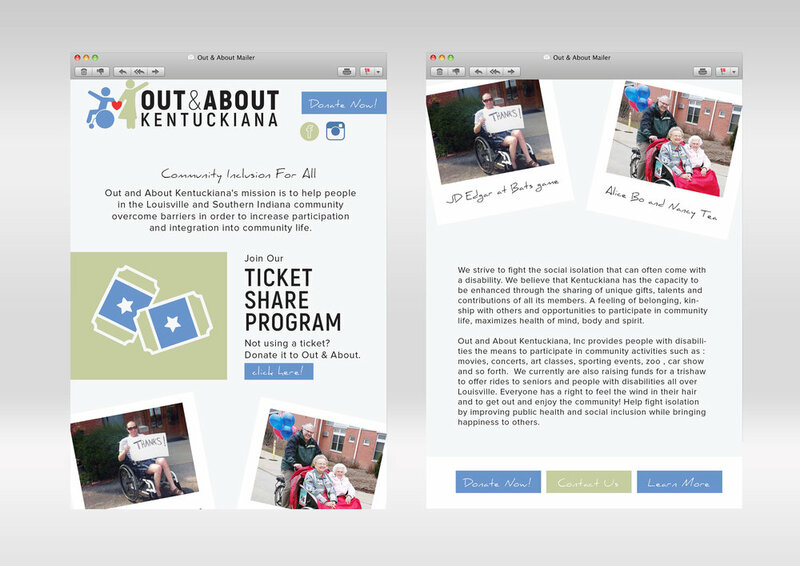 Out & About Kentuckiana is a non profit my mom started with a beautiful, generous mission. 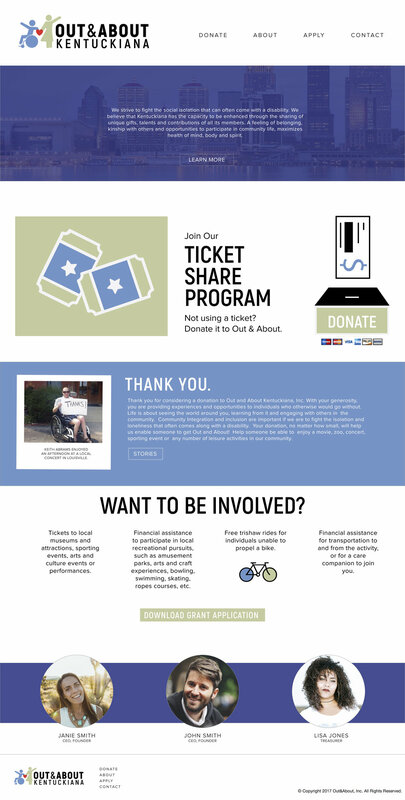 Through the company, my mom hopes to gather donations in an effort to promote community inclusion amongst those individuals with brain injuries or other disabilities who are trying to live on their own. Most of the time, these individuals are completely on the government dollar, without an extra scent to do the things we take for granted every day: movies, concerts, festivals and other events. My mom, who is an occupational therapist, noticed how hard it was for them to rehabilitate when they were so isolated from the rest of the community. Through O&AK, she hopes to make whatever change she can to their lives - the smallest donation of even $10 could give someone a much needed evening out. 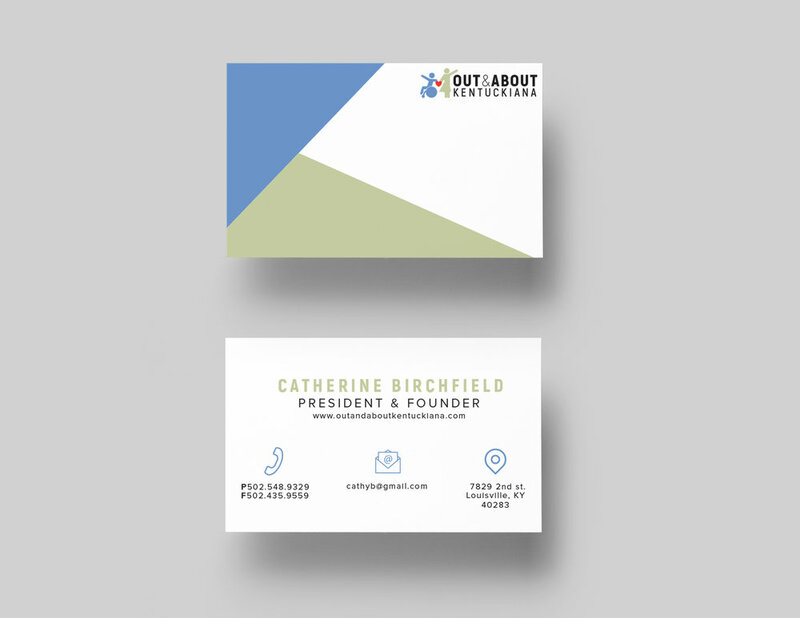 I designed the new logo, color pallet, as well as various stationary and an example mailer, to help get the business on its feet. This brand will be implemented within the next 6 months.